It was this time last year that I increased the RAM from 8GB to 16GB in my PC, and replaced the ageing GeForce GTX 650Ti 2GB, with a relatively better GTX 1050Ti 4GB. The PC is based around an Intel Quad Core i5-3340 3.10GHz processor, which is a third generation Ivy Bridge model circa 2013. Yet despite being five years old, it is still adequate for my gaming, writing and editing podcasts needs. At present, the 2TB Seagate hybrid SSHD that I installed in November 2016 is performing very poorly. Boot up times have grown longer in recent months and despite using the manufacturers diagnostic tools, I cannot find a specific technical problem with the drive or the Windows 10 start-up sequence. So, I have decided to replace the drive with a new SSD and install the operating system on it, then reformat the older SSHD and re-use it for data storage (mainly music and videos). I briefly considered replacing the entire PC or at least buying a new motherboard and processor but both options were far from economical. Unlike so many computer related websites and forums, I do understand the underlying concept of working within a budget. 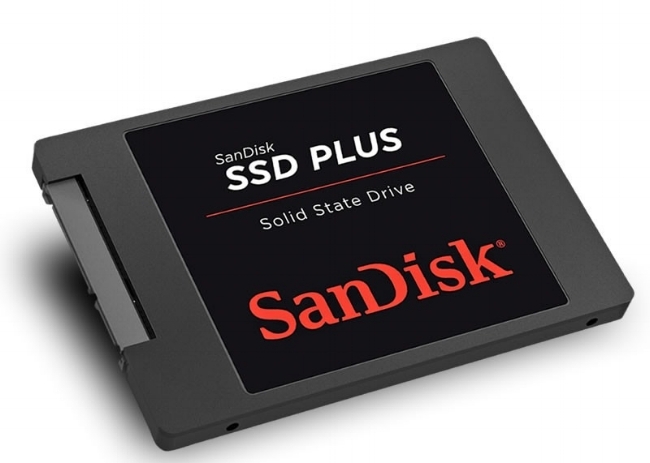 After perusing Amazon, I manged to get a SanDisk SSD PLUS 240GB Sata III 2.5-inch Internal SSD and a 2.5-inch HDD/SSD to 3.5-inch HDD mounting frame for £47, including free next day delivery. The plan is to remove the existing drive, fit the SSD and do a fresh installation of Windows 10 and Office 365. As the SSD is only 240GB I shall be reserving the majority of the space for future Windows and Office updates. Therefore Steam, photos, videos and music will all go on another drive. However, I may install the two MMOs that I regularly play (LOTRO and STO) on the new SSD due to the performance boost it will afford them. 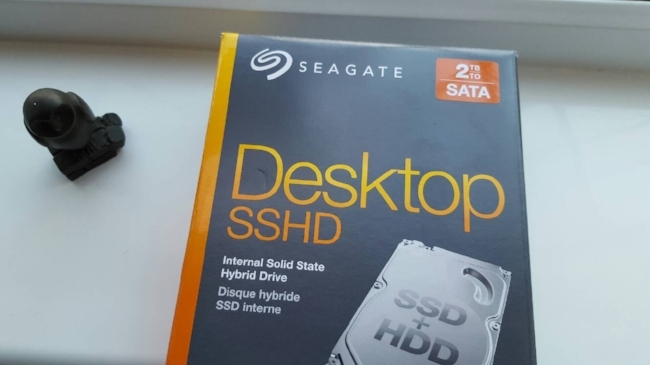 While researching this upgrade, I did consider cloning my existing SSHD to avoid having to re-install and migrate everything on it, but that meant having to purchase a 2TB SSD (at a cost of £300 minimum) or having to tinker with the cloning process to only copy specific files to fit a smaller sized drive. Such a strategy would be time consuming and increase the chance of errors occurring. Hence manually re-installing programs and migrating data is the path I have chosen. It at least affords me the opportunity to do some housekeeping on my current data. There are files that can be purged and games and programs that don’t require being re-installed. However, it will still prove to be a long process and I will not be content until I have essential items such as Outlook, fully replaced. The only other factor to consider is when is the optimum time to start this project. Sadly, it is not something that can be automated but requires user intervention in real time. If things go wrong expect another blog post.